Everything you need to know for your stepparent adoption. Adopting a child is a beautiful time in the life of a family, but it's also very complicated and in Texas, it takes specific steps to ensure it is legally binding in the future. It is typically a favorable situation when a stepparent is so devoted to the child or children of their spouse that they wish to become their legal parent. Stepparents often want to adopt their stepchildren in order to legally recognize the parent/child relationship and give the stepchild the same surname as the other family members. Stepparent adoption is when the spouse of a parent petitions the court to obtain legal parental rights of their spouse’s child/children through the adoption process. This process is basically the same as a regular adoption, with the exception that it is permissible only under certain circumstances. If you need to adopt an adult in Texas, you can check out our Texas Adult Adoption Guide. 1. The adoptee is an adult. In this case, it is not necessary to obtain permission from the absent biological parent. 2. There is only one living biological parent. 3.The “absent” biological parent is in agreement with the stepparent regarding the adoption of the child, and is willing to sign the appropriate documents. 4.There is one biological parent who is active in the child’s life because the other biological parent is absent by choice or his/her whereabouts are unknown. Or, in some cases the identity of the biological father may be unknown. We encourage stepparent adoptions when a biological parent has little or no participation in a child's life and a new spouse has stepped into the shoes of the absent parent. f you are ready to take this important step, Attorney Prime can help. Our Texas family attorneys will help you navigate the complicated stepparent adoption process. Obtaining a step-parent adoption is a two-step process. First, parental rights of the noncustodial parent must be terminated.To begin a Texas Stepchild Adoption, one must file a petition with the Court. Under the Texas Family Code Section 162.001(b)(1), A step-parent adoption is a two step process: (1) the termination of the natural parent and (2) adoption by the remaining parent's spouse. Just tell us a little bit about your case, and an attorney will contact you within 1 business day. Your attorney will review your case details, and discuss your options with you. Simply review and sign your attorney's contract online, pay the agreed fee, and your attorney will begin work immediatley. Once an adoption request has been filed, the adoption attorney can move on to the next step that involves obtaining a termination of parental rights from the absent parent, if one is known and alive.In some cases this occurs via the signing of an affidavit of relinquishment of parental rights by the biological parent.If both of a child's birth parents are alive, the other birth parent must agree to terminate her rights before the Texas courts will allow you to adopt your step-child. Once the biological parent terminates his/her rights, he or she will have no rights to the child. This means he or she will not have the right to see the child or the duty to pay child support. If the non-custodial parent is not involved with his child's life, he may be willing to sign a statement agreeing to terminate his rights so that you can adopt the child. Before filing for adoption, the parental rights of the biological parent must be terminated.This may be a simple matter of having the parent sign a voluntary relinquishment of their parental rights if the parent has no relationship with the child.There cannot be a step-parent adoption where there is a natural parent or adjudicated parent that retains their parental rights. An “Uncontested Adoption” means that the absent parent or “Defendant” will not file any documents with the court to object to your step-parent adoption or has previously been terminated and the custodial parent (the parent the child lives with) consents to the adoption.This process requires the voluntary signing over of parental rights or, if necessary, court intervention to terminate a parent’s rights. Once terminated, he/she will have no claim to the child, no visitation rights and will no longer have to pay child support. If the absent parent refuses consent to terminate their parental rights, the case moves to the court. Texas courts can only grant your petition if you can prove that the non-custodial parent does not have an ongoing relationship with the child or a plan to establish one. There a judge will determine if it is in the best interest of the children involved for the parental rights of the other parent to be terminated. When a parent cannot be located, notification through the newspaper may be possible. The termination of parental rights, unless agreed, can be a contentious issue since upon completion it is complete, final, and irrevocable. In other cases, an involuntary termination may occur if the biological parent has failed to support the child for at least one year. However, the biological parent has the right to refuse your request. If termination is contested, we can fight for it on various grounds, including neglect or abuse, nonpayment of child support for one year or more, incarceration for two years or more, etc. The Texas Family Code also provides for the termination of the parent-child relationship of an alleged father where there alleged father’s identity is unknown and his whereabouts cannot be determined. To terminate a parent's rights without consent, a court must find that termination is supported by at least one statutory ground and is in the child's best interest.In Texas, there must be a substantial basis to terminate the rights of a parent. The statutory basis for involuntarily terminating a parent’s rights are enumerated in the Texas Family Code §161.001-007. In other cases, the biological parent cannot be located and rights are terminated by default. In Texas a step parent, someone who is married to a biological parent of a child, can petition to adopt the child.As with any adoption process, stepparent adoption begins with filing a petition to adopt with the local family court.Under the Texas Family Code Section 162.001(b)(1), a Texas Adoption of a Stepchild petition joins two causes of action: (1) the termination of the natural parent and (2) adoption by the remaining parent's spouse. The petition is filed in the juvenile court in the county where the child lives. In Texas, the person filing for the step-parent adoption is referred to as the “Petitioner,” while the absent parent is considered the “Defendant.” Texas law requires that you and your spouse file a joint petition for adoption. You cannot adopt your stepchild without the consent and participation of your spouse. The petitioning step-parent files the documents for legal adoption with the court, which begins the adoption process.A petition for the termination of parental rights can begin before a child is born, but it is unlikely to be granted until a child is at least five days old. The Texas Court will require a social study - either by an individual who meets certain requirements or by a county organization.It involves a social study of the prospective family that includes: visiting the home; evaluation of employment and financial records; observations, and and an initial screening with the parents and children. Under the Texas Family Code, the social study evaluator must conduct interviews, observations, evaluations of home environments, contact with collateral sources, and again the child(ren) relationship with each person seeking possession or access. In a Social Study, a "social study evaluator" evaluates the circumstances and conditions of the child(ren). There will be a social study of both parties, reviewing their backgrounds and the home environment. In general, the parties will need to show that the step-parent has as good relationship with the child and that the child will benefit from the arrangement.All of this is used to help judge the situation and determine the fitness of a stepparent to adopt stepchildren. This is to make sure that the home is a good place for the child, that the child fits in and will have his or her needs met. After the social study, an Amicus Attorney is appointed. An Amicus Attorney will also be appointed as a friend of the Court to determine what is in the best interest of the child. The attorney ad litem is appointed to represent the chld and make sure the adoption is in the best interest of the child. Both the ad litem and the social study will be billed to the adopting parent. In many ways, an Amicus Attorney is similar to social study evaluator but goes into much more depth of the child, parties, and other person(s) of interest. An Amicus Attorney interviews the parents, other person(s) involved in the Child's life, visits the home, etc. The role of the Amicus Attorney is to serve as a non-biased lawyer appointed by the court who will repeat some of the previous evaluations, especially interviews and observations, to determine if the specific situation is best for the individual child or children and the family. This amicus attorney will meet with the new family — the biological parent, the stepparent and the child — to make sure the adoption is in the best interest of the child. Their opinion, along with the results of the social study, is then presented to the court with a recommendation of whether or not to allow the adoption to be finalized. Adoption proceedings are filed in state court. After all of the necessary steps have been followed, there will be a hearing before the Judge. The first part of the hearing will be the termination of the other parent's rights. The child is usually required to wait outside during this, and then come in for the second part, the adoption. Your attorney and the ad litem will ask questions of the parent and adopting parent, and maybe of the child. If your spouse's child is older than 12, he must consent to the adoption before you can move forward with your petition.The children take active participation in the adoption ceremony and families are welcome to bring their cameras and take pictures with the judge. If all is in place, an order will be signed and the adoption will be finalized.The court will finalize the adoption and issue a decree stating that you have rights of custody and the right to make medical and educational decisions for the child.If all is going smoothly and the other parent relinquished rights, this is a time for the judge to make sure all the documents are in the file and that all the requirements have been met. Once the adoption is approved, families can move forward with hope and excitement for the future. Moreover, stepparent adoption of your spouse’s child is permanent and cannot be reversed by a separation or divorce. The child will have a relationship with the adoptive parent that is the same as if the child were born to the stepparent. These rights will continue even if the marriage of the parents results in divorce.The child’s new birth certificate will show the child’s new name and will have the adoptive parent and the natural parent listed as the child’s mother and father. The practical effect of this is that the adoptive parent has all the liabilities and responsibilities that are associated with parenthood, including the potential obligation to pay child support in the future. The adoption allows the child to inherit from the “new” parent and it will allow that parent to enroll the child on a group health insurance plan through an employer.If children are old enough, they are encouraged to determine what their new name will be. Overall, it is a joyous experience that makes any troubles getting there worthwhile. We will handle all issues related to a stepparent adoption, preparing and filing all documentation to complete the process, and acting as your liaison with biological parents and the courts. We will work to obtain a voluntary relinquishment of parental rights, if possible, or take the measures necessary in the courts to obtain a termination of parental rights. In our experience, stepparent adoptions can be simple when both parties are in communication and agreement. Frequently, the stepparent is filling a role that the noncustodial parent has neglected to fill. We will be your advocate with the noncustodial parent, helping them understand how the adoption will be in the best interests of your child. When necessary, we will also help the court understand why the adoption should take place. Helping the entire State of Texas in stepparent adoption. We help families throughout the entire State. Our documents have consistently been praised by the Courts in Texas and recommended by court clerks. 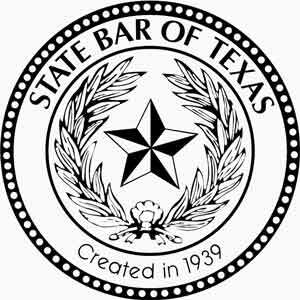 Attorneys are licensed by the State Bar of Texas. © Attorney Prime 2019. All Rights Reserved.